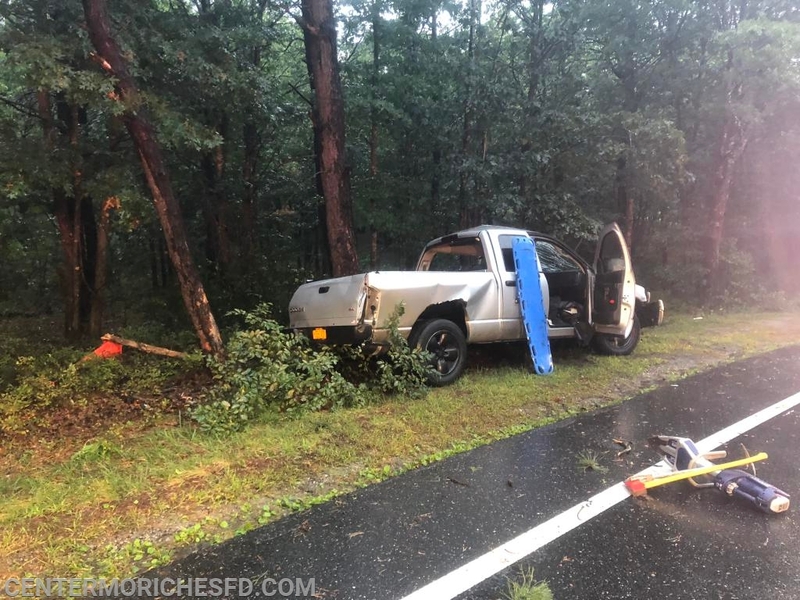 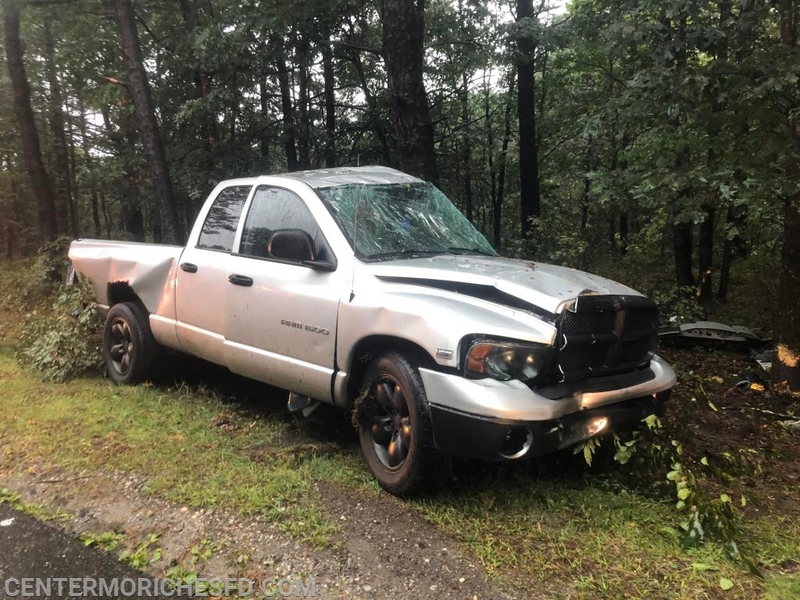 At 7:16am Center Moriches Fire Fighters and EMTs were requested to the scene of an auto accident with entrapment on Jerusalem Hollow Road between Moriches Middle Island Road and the Sunrise Hwy South Service Road. 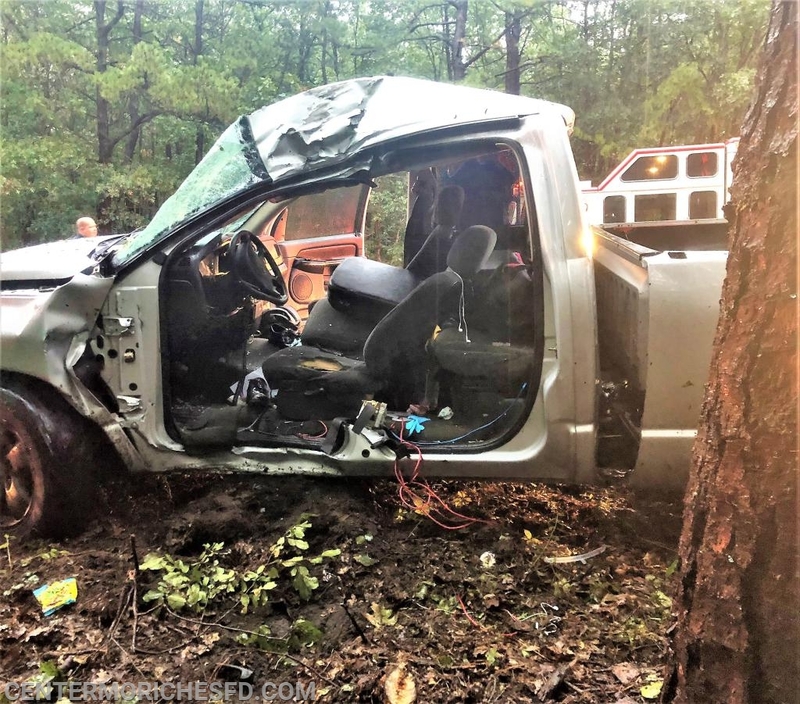 Firefighters arrived on scene and found a Dodge Ram pickup truck into a tree with the driver trapped inside. 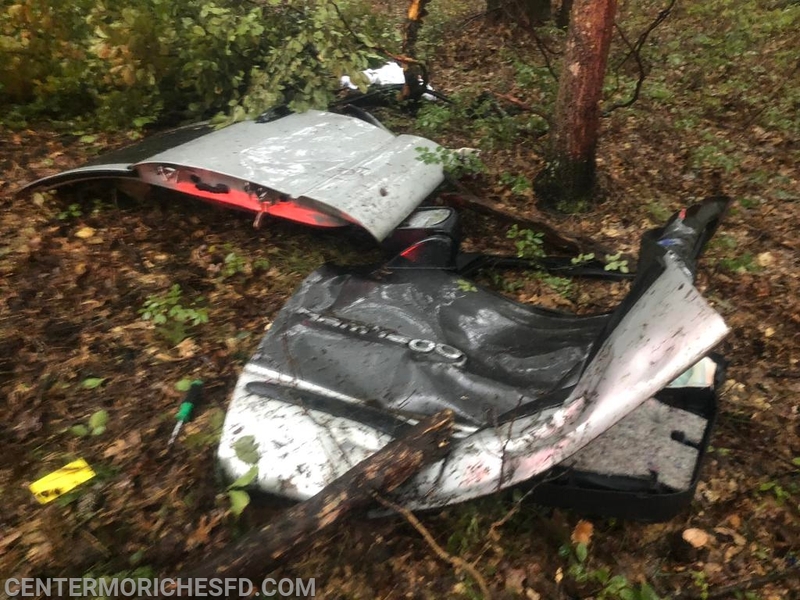 Using the Jaws of Life firefighters cut the drivers side of the vehicle away freeing the driver inside. 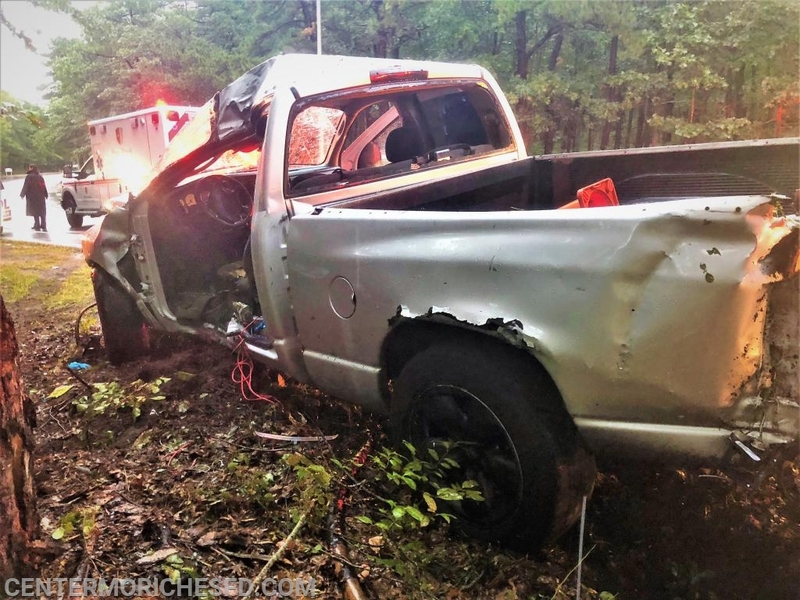 3 occupants were transported by Paramedics to a local hospital for further evaluation of non-life threatening injuries.